You probably guessed that if Sandy Arthur was stitch guiding Harlequin Holly that she must also be stitch guiding her Beau Hare-y. 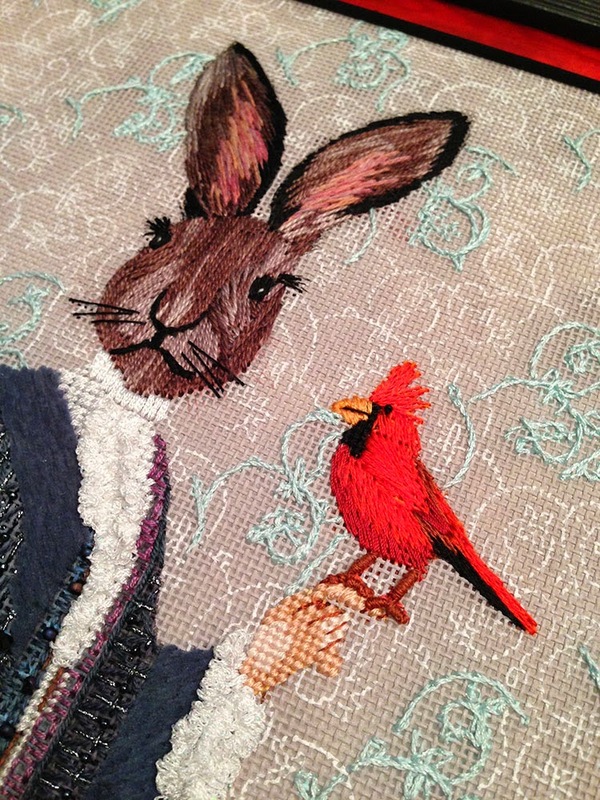 The face and the cardinal come to life with just a few well placed stitches. Check out those eyelashes. 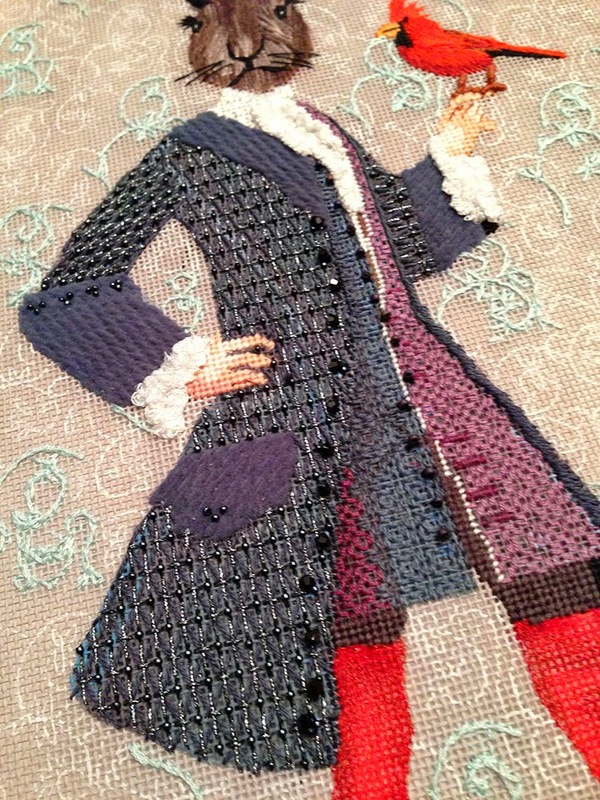 A few more curls are stitched in this background, but it’s still mostly empty and looks fabulous. 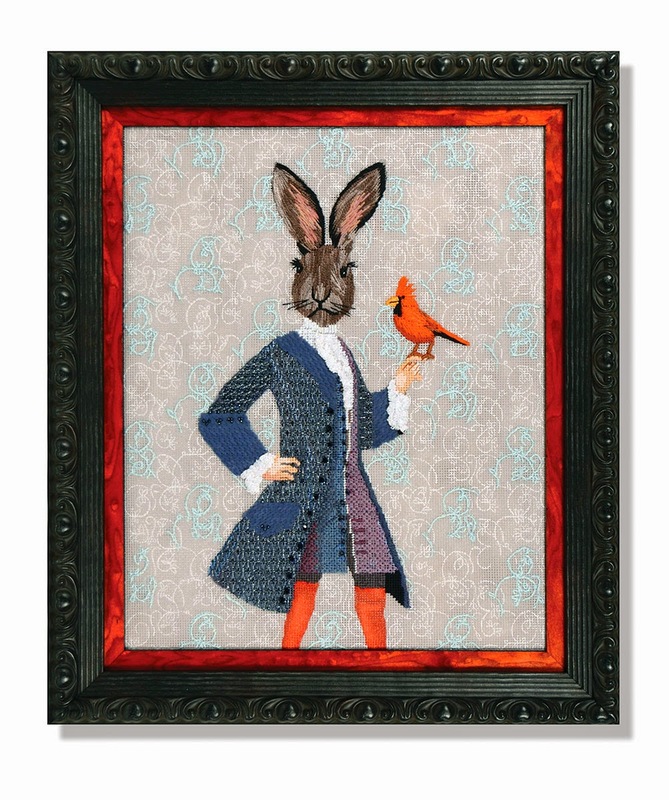 The show-stopper for Hare-y is his jacket. The stitch is perfect! Hare-y would love to live with you, he’s the perfect gentleman. Give us a call or order online and we’ll send him right out.